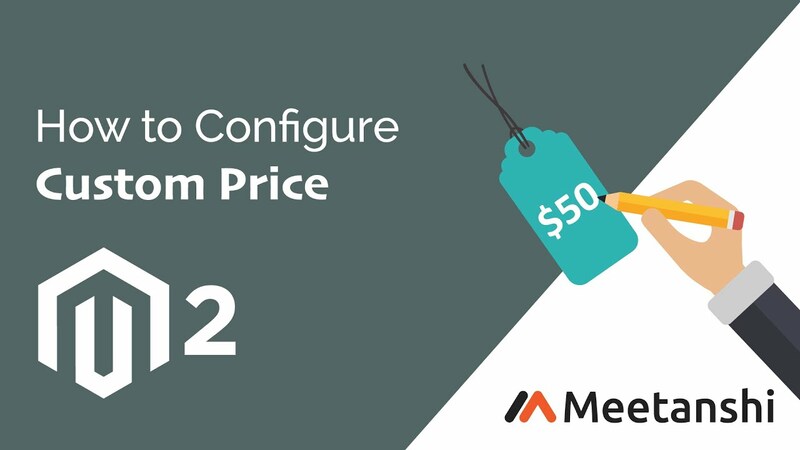 Magento 2 Custom Price extension by Meetanshi enables the store owner to create products with the editable price to accept payments for custom products, donation or charity. Create products with custom prices. Set minimum amount for the payment. Edit prices in the product page or cart page. Sometimes the products in your Magento 2 stores don't have any fixed pricing, they may decide after personalization or negotiation for bulk orders. To sell such products with dynamic prices and to accept payments for them, you need a product having editable custom price box to let customers enter negotiated prices in the box and checkout. Default Magento doesn't provide this functionality and thus Meetanshi has come up with Magento 2 Custom Price extension to allow the store admin to create products with editable prices. The main benefit of this extension is that it allows your customers to edit the price and enter the custom price in the box to proceed checkout. With the use of this extension, you can set a minimum amount for the product but users can change it to pay the greater amount decided earlier. The extension is useful to accept the donation payments and charity websites as well where users can donate minimum set amount but can change the amount to pay more if they are willing to pay. Magento 2 Custom Price extension helps increasing your brand loyalty and faith from your customers by selling products with editable prices. Create simple products with editable prices. Admin can set a minimum amount for payment through custom price products. Customers can edit prices on the product page or in the shopping cart page. You can edit the minimum price at any time as your requirement. Installing the module is worth the dollar spent. Thanks Meetanshi for bringing us this extension!